Fun, colorful, and full of imagination! 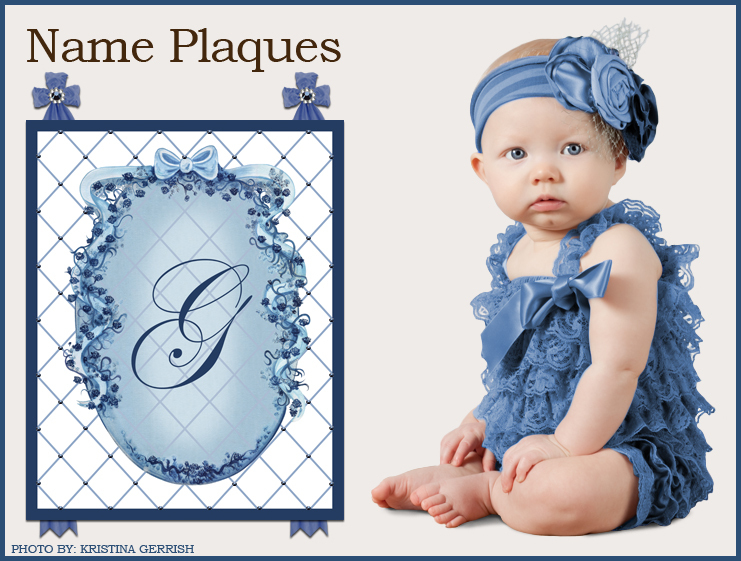 Dish and Spoon Productions' canvas name plaques bring personalized, playful pizzazz to a child's nursery, bedroom, or play area. These delightfully detailed paintings are original designs, reproduced onto museum-archival-quality canvas using the giclée method of fine art printing. Each canvas is hand-stretched over sturdy two-inch deep wood stretcher bars with the art image wrapping around each of the sides. To preserve the integrity of the artwork for years to come, the surface of every canvas is glazed with a UV protective finish. Custom-made upon order and hand-crafted in the USA, each canvas design may be ordered with personalization or customer's choice of text for a special one-of-a-kind keepsake. Many designs are hand-embellished with materials such as such as Midori satin ribbons, Swarovski crystals, and iridescent opal fairy dust glitter! For the customer who wants a specific decorative look, custom color matching is always an option. Wall mounting hardware is included on the back of the stretcher bars to ensure level hanging. For a decadent look, purchase your gallery wrapped canvas name plaque with our dreamy Dupioni silk ribbons. Our name plaques are available in multiple sizes. See individual product descriptions for details. Finished products ship within 2 to 3 weeks from receipt of order.